It is no secret that product reviews can help merchants increase sales. Reviews are proof that others found a product valuable, or not. WooCommerce provides the structured data to display rating stars in search results. But product reviews, properly utilized, can do much more. They can greatly increase conversions. In this post, I’ll address four WooCommerce extensions that supercharge product reviews. While WooCommerce has many powerful review features out of the box, it doesn’t compare to an Amazon-like experience. This is where WooCommerce Product Reviews Pro comes in. WooCommerce Product Reviews Pro allows merchants to accept user-generated images and videos of products. WooCommerce Product Reviews Pro allows merchants to accept user-generated images and videos of products. You can also ask questions of reviewers and then display their answers on the review page. How do you get someone to review a product? Satisfied customers frequently see no reason to leave a review — only those that are not happy with your products will take the time, it seems. This is where the Review for Discount extension can come in handy, wherein you send emails to remind users to review products and offer a discount on future purchases. 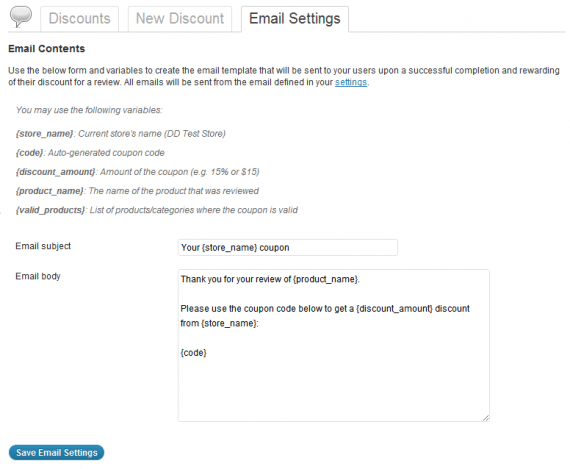 Review for Discount allows merchants to email customers a discount coupon after completing a product review. Review for Discount automates the process by using the built-in WooCommerce settings to generate coupons. When you approve a review, the unique coupon code gets emailed to a user to apply on a future purchase. Even with a reminder email, your customer still has to take the extra step of going to your site and writing the review. Yotpo can help. 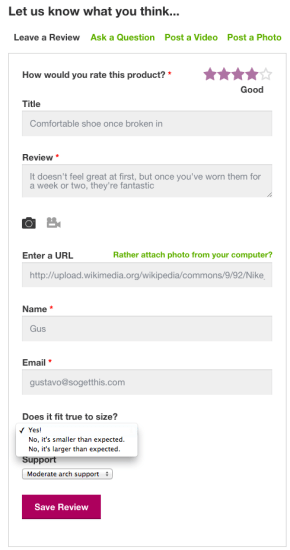 It allows you to include the review form in an email. When the user replies to the email with her review, it can appear immediately on your site. With Yotpo, you can also include coupons, too. And Yotpo also makes it easy to convert your reviews into ads on Facebook or Instagram. The biggest drawback to Yotpo is that it’s a subscription service. The company is vague in its pricing. The website states that premium packages start at $699 a month. Otherwise, Yotpo wants to provide a demo and a custom quote. Yotpo’s free version offers access to its in-mail review form. But it doesn’t include other features, such as user-generated photos and social integrations. Merchants can achieve much of the same functionality of Yotpo by using WooCommerce Product Reviews Pro and Review For Discount — at a much lower price point. A final way to supercharge your reviews in WooCommerce is to use FOMO — “fear of missing out.” FOMO leverages social proof by showing visitors how others view a product, such as by leaving reviews. But FOMO extends past reviews. It can show purchase data for each product and special offers, among other notifications. FOMO integrates with Google Analytics in addition to providing its own dashboard to track your conversions on the notifications to customers. It can A/B test your notifications, to optimize them for conversion. FOMO’s initial WooCommerce integration is free. But there is a fee after the free trial. The lowest priced plan is $29 a month and includes up to 50,000 notifications.